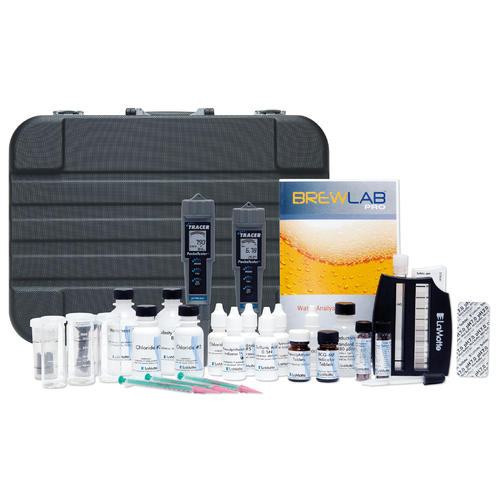 Nail down your water adjustments with the Lamotte BrewLab Pro water analysis kit. Developed with pro brewers in mind, this kit measures 11 of the most important factors in the brewing process. Knowing what's in your water and how to adjust the mineral profile will take your brews to the next level. After all, water is the main ingredient in beer! This kit was developed in cooperation with John Palmer, author of Water, A Comprehensive Guide for Brewers. Check out Palmer's Brewing Water Adjustment App, currently available for iOS devices and coming soon to Android.